94. 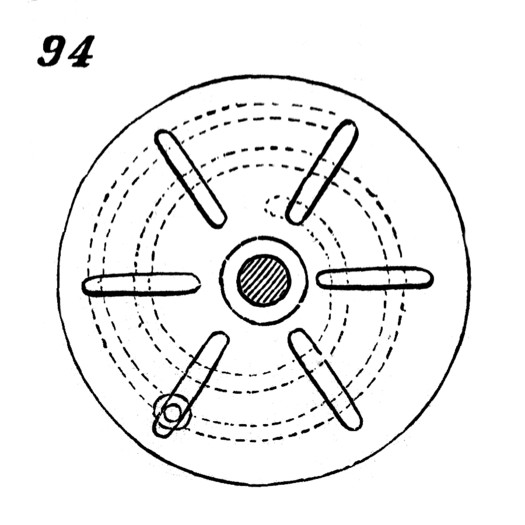 Variable crank, two circular plates revolving on the same center. In one a spiral groove is cut; in the other a series of slots radiating from the center. On turning one of these plates around its center, the bolt shown near the bottom of the figure, and which passes through the spiral groove and radial slots, is caused to move toward or from the center of the plates.